Methanogens are strictly anaerobic archaea metabolising by-products of bacterial fermentation into methane by using three known metabolic pathways, i.e. the reduction of carbon dioxide, the fermentation of acetate or the dismutation of methanol or methylamines. Methanogens described in human microbiota include only Euryarchaeota, i.e. Methanobrevibacter smithii, Methanobrevibacter oralis, Methanobrevibacter arbophilus, Methanobrevibacter massiliensis, Methanomassiliicoccus luminyensis, Methanosphaera stadtmanae and Ca. Methanomethylophilus alvus and Ca. Methanomassiliicoccus intestinalis. Methanogens are emerging pathogens associated with brain and muscular abscesses. They have been implicated in dysbiosis of the oral microbiota, periodontitis and peri-implantitis. They have also been associated with dysbiosis of the digestive tract microbiota linked to metabolic disorders (anorexia, malnutrition and obesity) and with lesions of the digestive tract (colon cancer). Their detection in anaerobic pus specimens and oral and digestive tract specimens relies on microscopic examination by fluorescence in situ hybridisation, specific DNA extraction followed by polymerase chain reaction (PCR)-based amplification of the 16S rRNA and mcrA gene fragments and isolation and culture in the supporting presence of hydrogen-producing bacteria. Diagnostic identification can be performed by matrix-assisted laser desorption/ionisation time-of-flight mass spectrometry (MALDI-TOF MS) and can be further completed by genotyping through multi-spacer sequencing and, ultimately, whole genome sequencing (WGS). Ornidazole derivatives, fusidic acid and rifampicin are the compounds to be included in in vitro susceptibility testing to complete the clinical workflow. 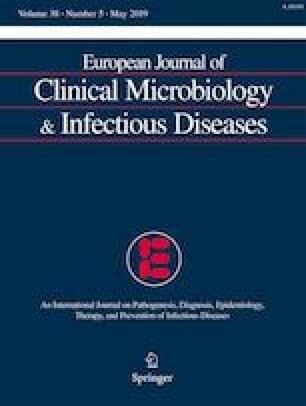 Clinical microbiology laboratories should work toward developing cheap and easy protocols for the routine detection and identification of methanogens in selected specimens in order to refine the diagnosis of infections, as well as to expand the knowledge about this group of intriguing microorganisms. The online version of this article ( https://doi.org/10.1007/s10096-019-03510-5) contains supplementary material, which is available to authorized users.